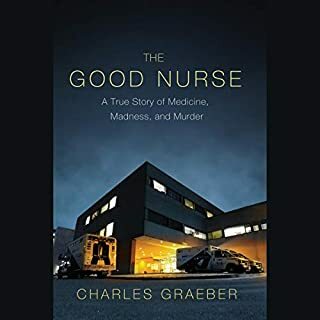 I found this book to be a great listen and it was a very well researched and written one too. 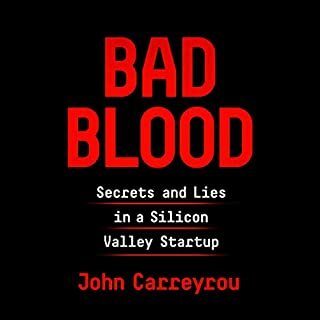 From what I got from the book is that it seemed like Elizabeth Holmes started out with good intentions in doing blood testing with a small sample. But, as time progressed, I felt she did not have the patience to get things right from the beginning and it soon turned to possible greed to keep things going. I felt it was greed because there was a part in the book where she was asked as a child what she wanted to do when she grew up and she responded that she wanted to be a billionaire. 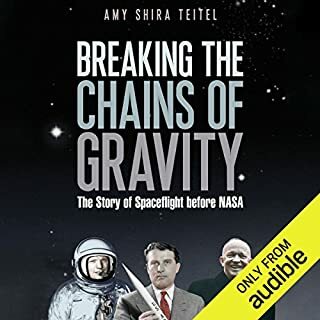 I enjoyed this book a lot and learned quite a bit about rocket history. Also, it was interesting to learn about all the trial and error of making rockets work in the early days of rocketry. As with many books, I tried to read the print book years ago but couldn’t get into it. 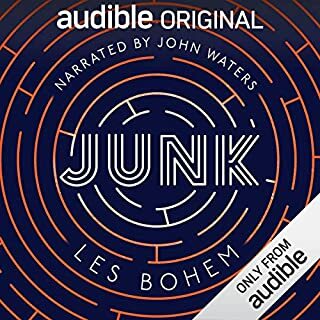 The audio version kept me interested all the way through. I felt that this story was all over the place and it was hard to follow the plot. Not a great choice for the monthly freebie book. I could not finish this book. The narration wasn’t the best, it was kind of flat to me. Not that bad of a book that was a freebie as an Audible original and considering how short of a book it was. Narration was good. I read the print version years ago and liked it a lot. I thought I’d give the audio version a listening to. It was good, but the narration was rather lacking as many other reviewers have mentioned. The premise for this story had potential, but it just doesn’t seem to have been developed that fully by the author. Descriptive details to make the story more interesting were half baked. The twist at the ending of the book was about the only perk to the whole story. The narration wasn’t the best either. 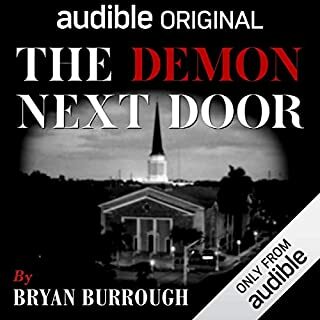 Got this one as a free Audible Original and so far I have not been that impressed with the ones I have gotten. Pretty much all the ones I’ve gotten haven’t been all that engaging to listen to. Also, almost all of the Audible Originals that are made available each month are ensemble cast readings, which I do not care for at all. Perhaps this is why they are free? 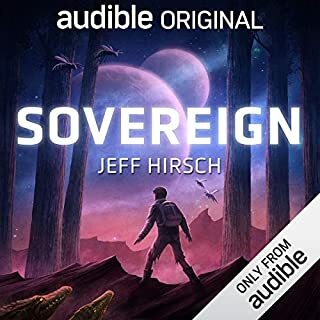 I think after this one, I don’t think I will get anymore freebie Audible Originals and stick with more interesting books purchased with credits and/or paid for. 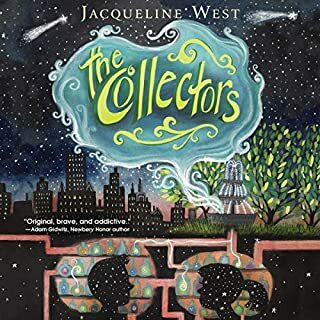 This has got to be one of the most creative and interesting children’s books I have listened to and/or read in a long time. I was thoroughly entranced to the magical essence of the plot while listening, wanting to find out what was going to happen next. It also reminds me a little bit like the book “The Thief Lord”. It was well narrated, too. Highly recommended! 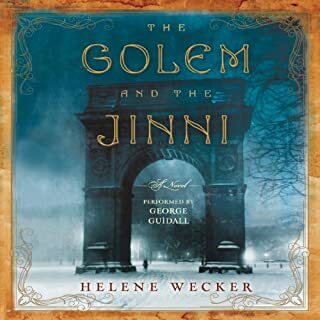 The story at times was a bore to listen to as it dragged on with too much “fluff” or filler, especially in regards to the Jinni’s back story. If the book was cut by about a third it would have been a much more delightful story. 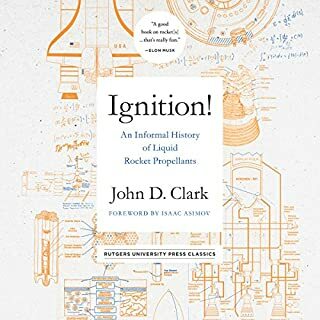 The book started off interesting about how liquid rocket fuels were developed. 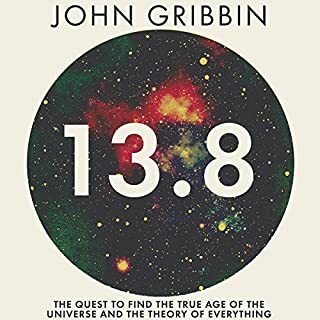 About halfway through, it started becoming a little too technical for me in regards to the chemistry involved and I had a hard time following along with what the book was about.